Your welding and metal fabrication partner should help you reduce your costs. Because choosing to outsource your custom metal fabrication means that you do not have to invest in costly equipment or maintain the right workforce to produce your materials. Although outsourcing can dramatically decrease your expenses in these areas, there are many ways to reduce your costs with the right fabricator. One necessary perk of working with an experienced and strategic supplier is having the understanding that they will often be aware of areas of improvement long before you are. A metal manufacturer with the ability to suggest practical solutions before you are aware of them is an indispensable partner. The ability to get one step ahead of a problem that you do not have the foresight to prepare for will save your organization a great deal of time and expense. A great manufacturer will be able to offer more value beyond welding and metal fabrication. A manufacturer with any interest in boosting your profitability will offer you supplier programs with the goal of cutting your costs. Adding value to your bottom line will result in your recognition of them as a valuable resource. Are they interested in offering you alternative ways to improve the manufacturability for any of your current offerings? Do they offer any consultation opportunities to help you to stay within your budget or to cut costs? A seasoned manufacturer will pick up on areas of improvement and look for ways to create additional opportunities. The inability to do so is likely a sign of inexperience. Leveraging your fabricator’s engineering expertise is an often-overlooked way to reduce cost. Customers typically bring projects to their fabrication partner and simply submit those projects as orders to be fulfilled. 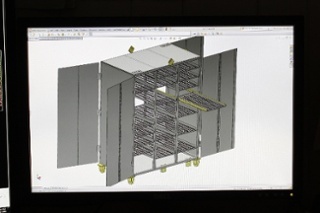 Rarely will clients bring project designs to the fabrication engineer ahead of placing the order. What many clients don’t realize is that their fabricator has probably seen many projects and designs similar to theirs. Asking your fabrication partner to review your project ahead of placing the order may mean a reduction in cost based on the fabrication engineer’s recommendations on material to be used, or innovative design modifications. Creating a more efficient and cost-effective process for your organization no longer has to be something that is done alone. Allowing your manufacturer to offer a helping hand, will allow them to look at things through a different lens, offering you room for improvement in areas that could have been previously missed.